Madrid, in collaboration with Grupo Gowex, offers free wi-fi hotspots in newspaper kiosks ("kioscos de prensa"), municipal buses, shops and cafés, and other free hotspots dotted about the city. The connection on the buses is totally free, as are many of the other hotspots, although with a limited bandwidth. But it is more than enough to browse the Internet and pick up your emails. In order to connect to these hotspots, you first need to register on the Gowex.com website, and then look for a hotspot named "GOWEX WiFi" or "Madrid WiFi", and you should be able to connect with your chosen username. This map of Madrid's free wi-fi hotspots was created by InTheSity (also available on MadridMeMata) and shows all known wi-fi points with free Internet access in Madrid. These access points are owned in some cases by large department stores such as El Corte Inglés, by hotels such as the HighTech chain of hotels, by cafeterias and shops or by individuals. In some cases, the access point is provided by the local authorities, as in the case of the Plaza de Santo Domingo. If the origin of the free wi-fi access is unknown, it is likely that these access points are owned by individuals who haven't yet configured an access key. In these cases we recommend you do not connect to these points of uncertain origin since you may be unwittingly using somebody else's connection without permission. Please just click any of the points for more information on each one, or zoom in using the controls on the map itself. 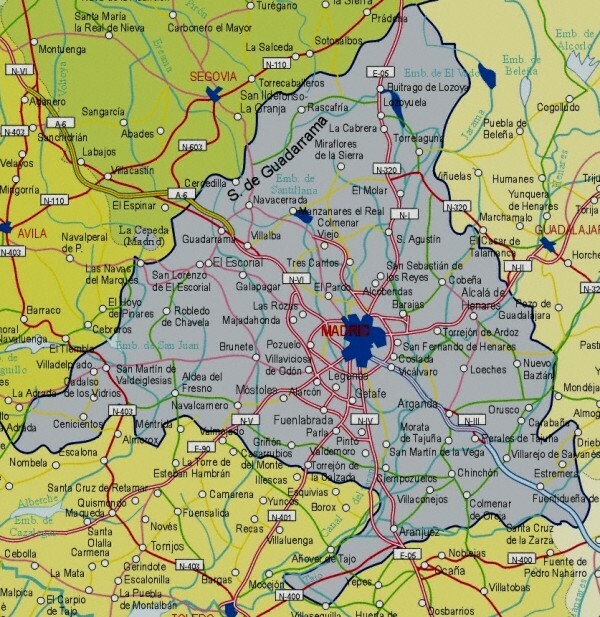 If you know of any other free wi-fi hotspots in Madrid, or if any of the hotspots on the map is incorrect, please let us know and we will inform the map creators to update the information.